A short time ago Ida Alleman, of Prince George, British Columbia, came to the museum with her son to present us with a beautiful ammunition belt pouch. It had been collected by her father who was in the United States airforce based in England during World War 2. 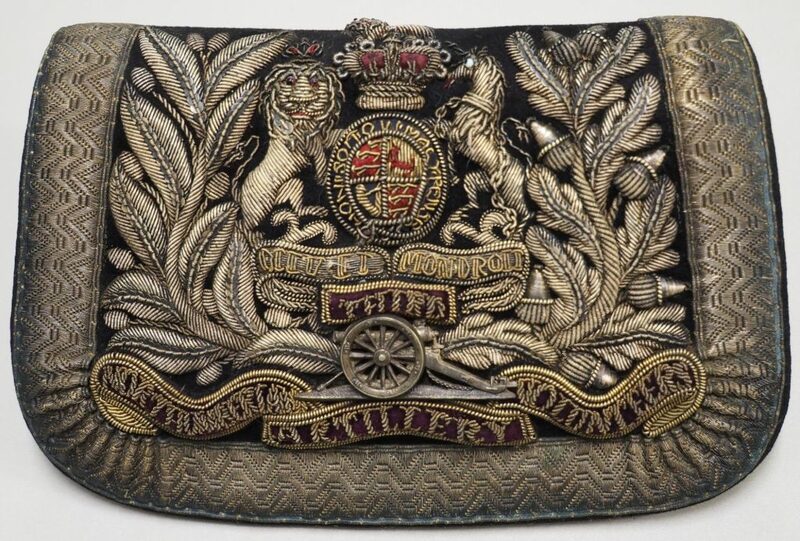 The pouch was made for the 3rd Northumberland Artillery Volunteers and as such can be precisely dated as they were only known under this name from January to April 1860. We have spent some time carefully cleaning it to restore some of the brilliance of the metal thread embroidery. It is now on display in the museum. 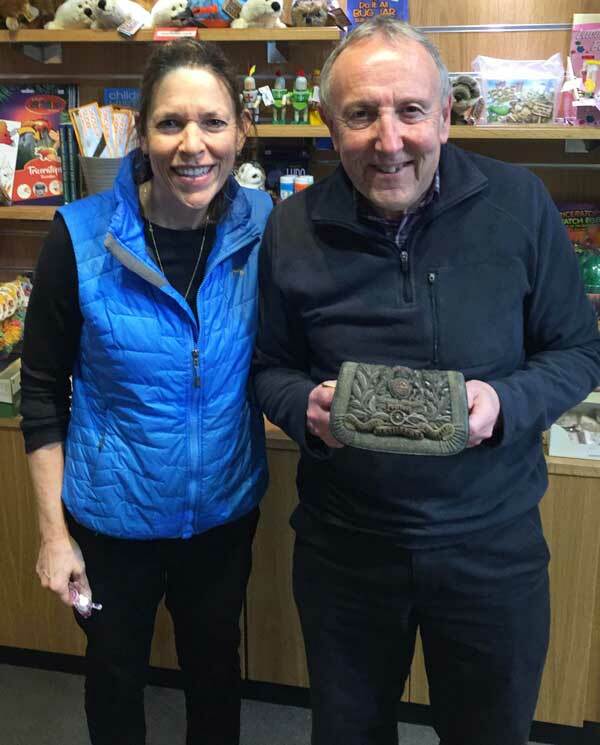 (Pictured above : Ida Allerman and Mick Grant of Bailiffgate Museum, who has been restoring this new addition to our collection).